Doru Peter Frantescu is the co-founder and CEO of VoteWatch. Since the launch of the organisation in 2009, Doru heads political data analysis and digital communication strategy and his data-driven reports are regularly quoted by international media and institutions. Doru has also worked with think-tanks in 20 countries in a pan-European project bringing European issues to local public debates. 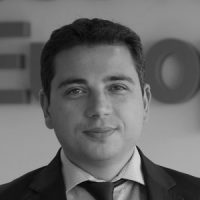 A social entrepreneur with background in political science and journalism, he speaks English, French, Spanish, Italian and Romanian.